I love the idea of supporting the local communities and farmers. Norfolk and Kent are both counties with big areas of countryside so the ‘eat local produce’ movement is pretty strong in both places. Here in Kent there is the Kent Farmers Market Association that gives you all the info on where and when farmers markets take place, as well as some other really useful resources. Unfortunately, I’m not going to be here for the next Rochester market, but I’ll head down to it soon and let you know how I get on! Every area has something it’s renowned for, Norfolk Crabs and Lavender, Suffolk Cider, Welsh Lamb, Highland Beef. Apparently two things that Kent is renowned for are Gypsy Tarts and Kentish Cobnuts. When I heard about these two things I really wanted to try them and since I’ve moved in I’ve made it my mission to find them. Cobnuts are a variety of Hazelnut but I won’t find them until November when they come into season. Gypsy Tarts on the other hand are pretty common and I managed to find one today when I dashed into a doorway of a bakery to get out of the pouring rain. The story goes that an old lady was looking out of her window one day and saw two skinny gypsy children playing in the street and thought she would make them a pie to help fatten them up a bit! 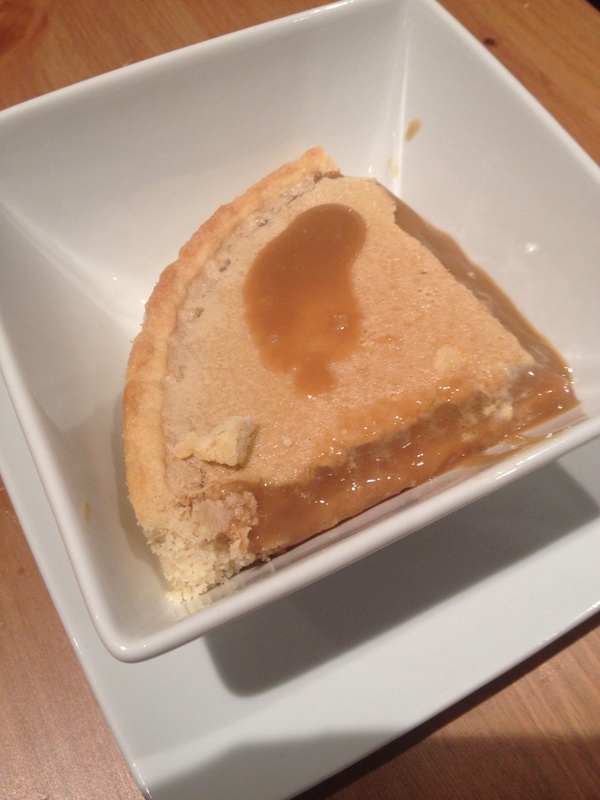 All she had was a pie crust, some evaporated milk and some sugar – and bam! 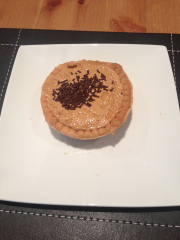 The gypsy tart was born. I have to say I wasn’t sure what to expect. From its colour I was thinking it was maybe toffee flavor but either way when I checked the ingredients I thought it was going to be super-sweet. That wasn’t the case and I was really surprised. It just has a nice creamy, kinda sweet, filling that goes really well with the pastry case. It’s not overwhelming and it doesn’t taste like toffee at all. You just whisk together the evaporated milk and sugar for ten minutes until it’s gone pale and bubbly. Then poor into the pastry case. It then needs to go into a warm (not hot oven – around 150/300F ish) to set for around ten minutes. You can tell it’s done if it doesn’t move when you slightly tip the dish. If it does move it needs five more minutes. I’ll be trying this recipe myself during the week so I’ll let you know how I find it, but it looks so easy I’m not sure how even I could mess it up.. Gave it a go today! 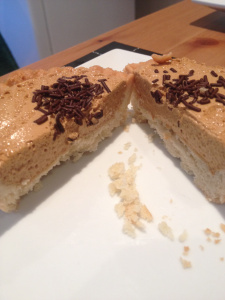 Mine was no-where near as spongey as the one I bought from the bakery – but it was so good! 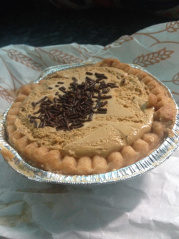 really sweet and creamy and even though it was quite sloppy it was a nice consistency when paired with the pastry case. I think this may have been my fault as I think the oven was a bit low to start with (then I turned it up to throw everything off!) but it tasted lovely and came out really well! 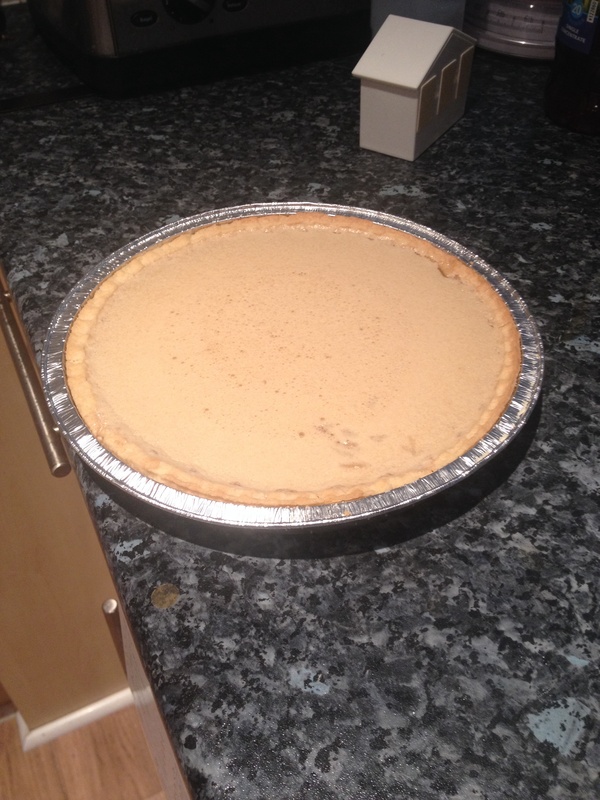 Easiest pie I’ve ever made!